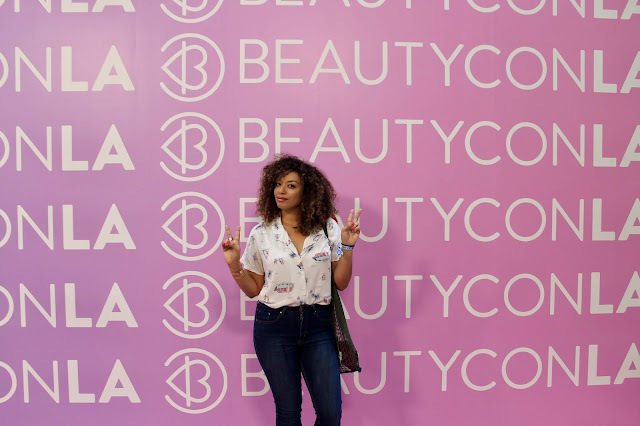 When my best friend asked me to go with her to BeautyCon in Dallas last year, I was totally up for it, but when we checked it was sold out because we waited too long to get our tickets. Then she texted me again to try to attend in New York this past April, but I had already purchased my tickets to go to Tampa for my sister's graduation, so I couldn't. Then she said, "Let's go to Los Angeles", and I thought, "Girl, you're crazy!" She made a really compelling argument how we had never gone on a Girl's Trip, that we've travelled together but never on a super girly convention, etc., etc. Somehow she convinced me and 1 month before the trip we got everything. I made reservations to stay at The Standard in Downtown L.A. (THE place to stay as other bloggers and influencers have raved about it). I found an insane deal, btw, which could have easily gone awry, but it worked out. The night we arrived, we decided to have a nice dinner at a local Mexican restaurant, recommended by the Hotel staff and on our walk back we stumbled upon a nail salon so we decided to get pedis. Of course, we weren't prepared for pedicures since we were wearing closed shoes, so I convinced by BFF to walk back in those flimsy sandals, though she urged me to get an Uber, but I was like, "That's silly! We're a BLOCK away!" Of course, my luck, mid way back, my sandal got stuck to something gross on the street and ripped apart on me, rendering it completely useless! So, I decided to put on my boots, no socks, and walk very carefully the rest of the way. My toes, were just fine, lol. The next 2 days of BeautyCon were a whirlwind! It was so packed and kind of overwhelming for me. Visually stimulating, full of celebrities, fashion & beauty influencers, and all the brands we love, plus new brands, some indy, that we were introduced to. The Convention Center was filled with booths from health & wellness, to skincare, to nails and of course makeup. Stages were set up for panels and fireside chats with beauty gurus, celebrities, content creators and influencers. Makeup and hair demos, plus nail stations were everywhere. It was quite the experience! We had the Hauler Package, where we received VIP + Early entry and a HUGE bag filled with products from every vendor from sample to full sized valued in of $400. It was so heavy, we had to check the bag just so we wouldn't be weighed down and walk around. 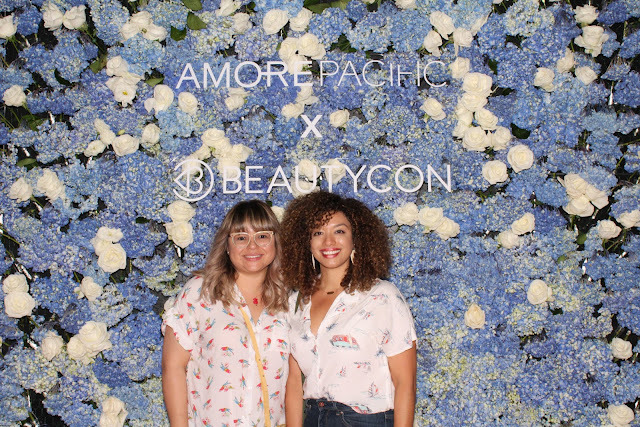 We saw our favorite Youtubers and content creators like Bretman Rock, Nikita Dragun, Manny MUA, Lo Bosworth and celebrities like Drew Barrymore, Kim Kardashian West and even Snoop Dogg! It was fun, but honestly, so exhausting! The line for the Kylie Cosmetics truck was insane and she wasn't even there! People were just trying to buy product! 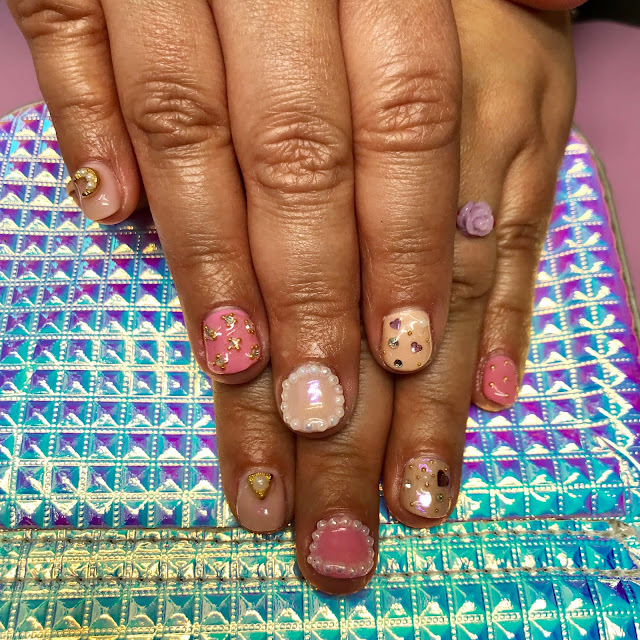 My BFF had made an appointment with the most amazing nail artist in West Hollywood for after Day 1 and we were there for THREE hours! It did turn out beautiful, though. Come to find out it was THE Yoko Sakakura, nail artist to the STARS, house in the Kimble Hair Studio, which was featured on an episode of Keeping up with the Kardashians where Kim wanted to learn how to manage her daughter's curly hair. I wanted to hang out at the rooftop of the hotel in the evening, which is the hottest spot in LA, but we just couldn't muster the energy. So, on the last night, I wore my high waist jeans, a crop top with a jacket and just went upstairs to see what all the fuss was about. It was gorgeous, the people were beautiful and the music was bumpin', but 15 minutes later I was ready to call it a night a get ready to go home to attend an emergency family matter. I don't know if I'll go to another BeautyCon, but I can say that I went. I think the next thing I'll consider attending is a Content Creator or Latina Blogger event, but a convention is a lot, especially having to make those endless lines to get a picture or enter a MAC experience or whatever. SO, that was my experience! Check out the video below for highlights!